Orchard Books Publisher: Some people had rights, while others had none. Two friends, Susan B. Anthony and Frederick Douglass, get together for tea and conversation. They recount their similar stories fighting to win rights for women and African-Americans. The premise of this particular exchange between the two is based on a statue in their hometown of Rochester, New York, which shows the two friends having tea. Nugget: Two friends were fighting the same battle, equality. One fighting for women to be treated equally and the other fighting for African Americans to be treated equally. Need Enticement: In my opinion, the hook is in the illustration, but I wonder if children will understand the implication. I look at the image of Susan B. Anthony and Frederick Douglass sitting across from each other sipping tea and I am hooked. I know immediately, they are up to something. They are both movers and shakers. In a time in history where a woman would not be alone with a man unchaperoned. And, where an African American would not on most white Americans--- this illustration hooks me. I want to know what is going on. I am excited to read how these two historical pioneers conspired to change our world. Escalation: This book is unique in the fact that until page 22 the book is basically two different biographies. All of these pages are actually setting the stage for what the book is about, and we find that out on page 23: "They promised to help each other, so one day all people could have the rights." The story escalates as: Here is her reason. Here is his reason. Here is their promise, now let's get to work. The story itself wasn't strong, so I just went back and stared at that opening image--- powerful. Satisfying Ending: They would get to work. As soon as they finished their tea. ​--- Ok, very anticlimactic. Just go back and stare at that opening image. Imagine what the two of them truly plotted and could accomplish in today's world. Sources: I will admit, I got much more from the Author's note than I did from the story. I would have loved to see the two at speeches together, working together, and winning their battles. The bibliography is quite extensive and gives you lots of other sources to continue learning more about Susan B. Anthony and Frederick Douglass. There is also an actual photo of each one. Show or Sustaining Words: Discuss 19th Amendment, Emancipation, This book will be great to introduce debate into classrooms. Why: Since our country began people have had to fight for something, equality, acceptance, voice. It is what makes America fabulous and aggravating all at the same time. Fabulous in the fact that we can stand up and fight for what we want and argue for what we are against without fear of being imprisoned. This isn't true in many countries. But sad, that we have to fight, that people don't realize that everyone has a voice and that voice matters. Lee & Low Books: Author Glenda Armand imagines Frederick Douglass as a young boy in 1820s Maryland, trying to understand why he can t live with his mother, who is a slave on another plantation. During a brief, nighttime visit, Mama answers Frederick s questions by describing what each mile of her journey is for remembering, listening, praying, singing, and finally, love. Her strength to travel the distance between them is a poetic testament to the human spirit, showing Frederick that although the road through life is full of hardships, hope, joy, and dreams can grow along the way. Mama s faith and love set Frederick on a path to future greatness as a man with a determined and resilient spirit who escaped from slavery to become a noted intellectual, a highly respected human rights activist, an eloquent writer and speaker, and an unforgettable leader. This warm and tender exchange between young Frederick and his mother will appeal to children of all backgrounds who cherish such bedtime rituals. I was enraptured by this historical fiction. It broke many picture book rules but it worked. I think that this book should be paired with Henry's Freedom Box which addresses slaves being ripped from their parents where as Love Twelve Miles Long addresses one family's journey to stay close. Nugget- The journey that a mother will take to see your child taken to another master's home. Need Enticement- Starts by letting you know that tonight was special and leaves the reader wanting to know why. Escalation- Starts with the prep for the walk, followed by a huge middle which is the 12 mile journey and concludes with having to walk back home. Satisfying Ending- Many things aren't measurable except his mothers love. Sources- Since it is historical fiction the author did not include any resources. Show Words- Each mile had a powerful word to correlate. Why- I think the story is powerful for the fact that although there are stories about the normal procedure of slave families being split this story shows that it didn't divide their love. As any mother would, we go through great lengths for our children. Need & Want- A family that wants to be together but faces the fact that they won't be so they need to create a way that they can visit. * Even though this is a slave story there is something that will resonate with of us in our hearts. I will never forget when I was seven years old and my Grandmother lived a mere three miles away. She was absolutely the love of my life. I called her crying because I wanted to see her, I told her that my heart needed her. I had never seen my Grandmother drive so when she showed up at my house, I was shocked. But discovered that she had walked to my house. I will never forget it. Publisher Candlewick Press: At once sobering and inspiring, here is the true tale of a World War I cavalry soldier and his heroic horse, Midnight. Guy Haydon raised and trained Midnight from the time she was a foal. The two had such a strong bond that when World War I broke out, Lieutenant Haydon slipped away from the frontlines of Gallipoli on an Egypt-bound ship to reunite with his horse. There, in the city of Beersheba, on October 31, 1917, two regiments of the Australian Light Horse Brigade took part in one of the last great cavalry charges in history. Among the first to leap the enemy trenches was Lieutenant Guy Haydon, riding Midnight—who succumbed to a bullet that might have otherwise killed her rider. In a new story from an award-winning duo, luminous illustrations and lyrical narration bring a sad moment in history to life. Disclosure-- OMG, OMG. My heart is filled with sadness for Midnight. This is a heavy story. But, the author handles it in such a fluid use of words that it carries you over the trauma and delivers you to the end where your heart can sit and cry. Need Enticement: A foal is born at Midnight, on a cattle ranch in Australia. Coal black. Star ablaze. Moonlight in her eyes. *** Ok, I did look again. Yes, the author is a guy. I stereotyped. I am sorry. The man has me beat hands down. Absolutely beautiful. Escalation: This is a heavy story of going off to war. Horse and owner separated, then reunited. The war story set amidst enemy fire, lack of resources, and allies dying is handled in all actuality in a very tasteful manner. The author uses short, succinct lyrical sentences to carry the reader from scene to scene but maintain the feeling of urgency. Satisfying Ending: Night falls. Stretcher-bearers load casualties onto carts. Guy waits his turn. He cries and lets go of Midnight's reins, beloved mare beside him. Coal black. Star ablaze. Moonlight in her eyes. ​*** Full circle ending. The horse never loses that sparkle. Sources: WOW! The sources are totally my kind of sources!!! Author's note, real photos, AND the author visited the family that still lives at Midnight's home and read letters from Guy Haydon. There are several additional resources in the bibliography as well. Show (also known as sustaining) Words: Children and students will be encouraged to study Australia, Turkish Coast, Gallipoli, Cairo, The Pyramids, and ancient city Beersheba. Why: It is part of WWI which students study in school, so it fits nicely into the curriculum. It addresses something that many books don't in war; there are casualties even on the good side. Albert Whitman Publisher: All William Ellsworth Hoy wanted to do was play baseball. After losing out on a spot on the local deaf team, William practiced even harder--eventually earning a position on a professional team. But his struggle was far from over. In addition to the prejudice Hoy faced, he could not hear the umpires' calls. One day he asked the umpire to use hand signals: strike, ball, out. That day he not only got on base but also changed the way the game was played forever. William "Dummy" Hoy became one of the greatest and most beloved players of his time! Nugget: A young deaf man wants to play baseball, but others see his disability as an obstacle. Need Enticement: William scooped dust to dry the sweat off his slick rubber ball. He stared at the small X he'd chalked on the barn wall. He closed his eyes. He opened them and threw. I am hooked. I see the sweat, the dust, I feel it. I am closing my eyes and throwing. Nancy's use of action right from the start will grab you and pull you in. Escalation: A solid beginning, middle and end. As a teenager, how his family interacts with him and baseball and how his deaf school deals with his baseball ability. Playing baseball as an adult in a "hearing world." Satisfying Ending: All he'd wanted to do since he was a boy was find a way to play his favorite game. He never dreamed he'd change how the game was played. But he did, and we still cheer him today. ​We are brought full circle, back to William playing the game he loves, and now the world loves him too. From the side of a barn to changing the game, we know that William made a difference. Sources: Great back matter with additional information about William Hoy, a timeline and even his baseball stats. In the acknowledgments, the bibliography is woven in as a thank you to those who provided the information. Show Words: Lost terms such as cobbler for shoe repair. Baseball terms: sure arm, National League, majors, and outfield. Cities: Oshkosh and Cincinnati. But my favorite, this is the perfect opportunity for children to learn some simple American sign language and spike their curiosity for more. Why? : Baseball, America's sport. Who knew that we use umpire signals all because of one deaf player, and it has carried into football and basketball. The idea, that any one person can change something so HUGE as an entire sport is amazing. Need and Want: William wants to play baseball. But, William truly needs others to understand that just because he is deaf, it should not stop him from doing what he loves. Needless to say, I loved this story. I feel that it will work in classrooms for many topics from social studies (cities that William played for), language (American sign language), and mathematics (simple principal of three strikes). 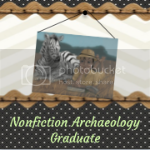 If you enjoy my weekly compasses on the latest nonfiction picture books, please click over to the right and follow my blog.